In the new millennium, electronic reference services continued to grow, with incoming email reference questions nearly doubling to 1,355 questions in 2000-01, and doubling again to 2,650 in 2001-02. February to May of 2001 also saw the testing of real-time chat reference by the Reference Department and Undergraduate Library with approximately 600 sessions. This service continued in 2001-02, with an average of 500 chat requests received per month. There were a total of 4,348 chat reference requests received in 2001-02, and by 2002-03 the service received 6,415 requests. The continued growth of chat questions led to the establishment of a separate desk to handle the bulk of this service in the spring of 2011. In 2012-13, between the Information Desk and the centralized Virtual Reference Desk, the number of chat questions was 11,444. With the growth of chat as an online reference and information option, email questions, which had been at approximately 3,300 in 2004-05, were less than half that amount in 2012-13 at 1,588. In addition to the new online services of email and chat reference, the department continued to provide in-person service as well as answering questions by phone. However, during this period the location of physical central reference service points in the Main Library shifted. 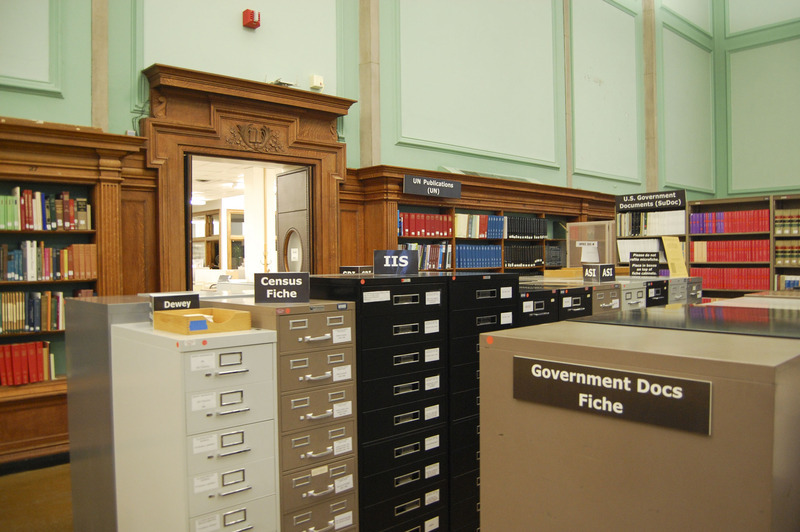 The longstanding Reference Desk in the Reading Room was eliminated in 2004-05 and in-person reference services were consolidated to the Information Desk, which had long since grown beyond its original function of providing assistance with the card catalog. This increased the staffing presence of librarians at the Information Desk in addition to graduate assistants, and in 2012 librarians from departmental libraries in the Main Library also began to staff the desk. In 2012-13, the Information Desk handled 22,734 questions via chat, phone, in-person, email, and SMS, a 10% increase from the year before. 13,387 of those questions were asked in-person. Along with changes to reference services, there were physical changes in the Reading Room and Information Desk area during this period. In 2003-04 a new, more attractive Information Desk was installed that was more consistent with the design and décor of the surrounding space of the Main Library. The next year brought the beginning of the shifting the of the card catalogs in the central second floor room to make space for additional tables and to make the Information Desk more visible. In the Reading Room, government information materials moved to the north end of the room in 2010-11 as the Literatures and Languages Library opened up with its entrance at the south end of the room. 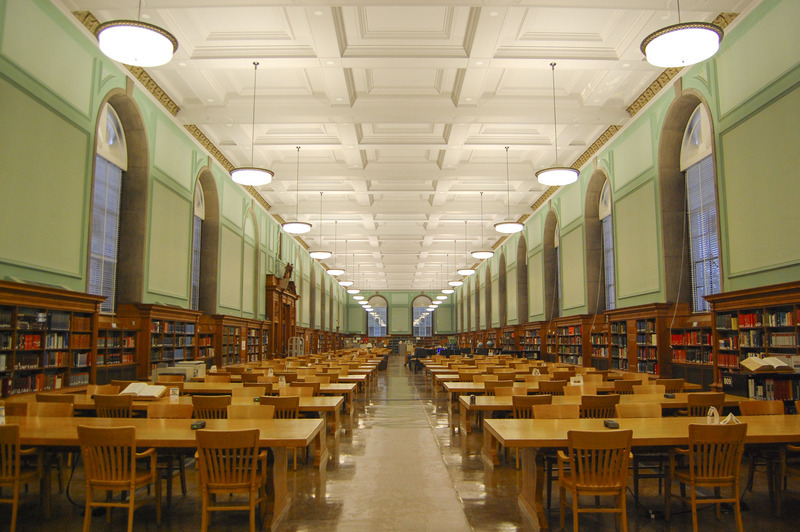 More recently, during the fall of 2013, new lighting fixtures were installed in the Reading Room to replace the old fluorescent lights, bringing the room closer to its original appearance. 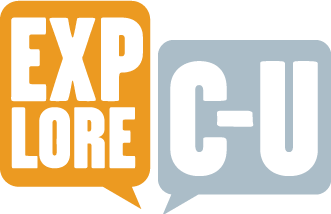 Sarah Hoover and Caitlin Crane , “Reference Services at the University of Illinois Library: 2001-present (Creating Today’s Reference Department),” ExploreCU, accessed April 21, 2019, https://explorecu.org/items/show/325.